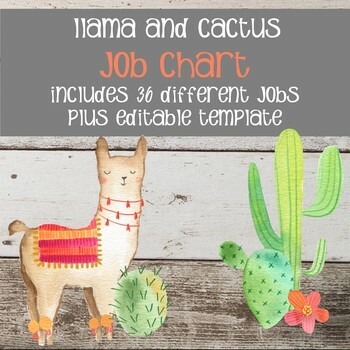 Classroom job chart in a cute llama, cactus and shiplap theme. Students love to help and these classrooms jobs will give your students a sense of pride and accomplishment. 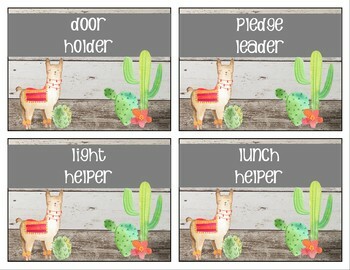 There are numerous ways to display this chart and it will help make your classroom management easier! 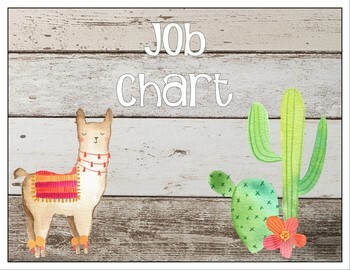 There are 36 jobs included plus a blank template to make your own assignments. Font is Sunshine Poppy by Heather T. or you can use your own. 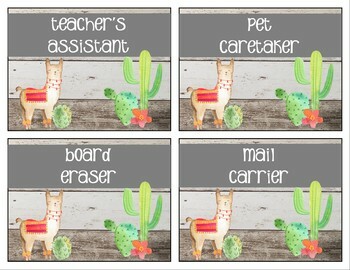 Or check out THE COMPLETE BUNDLE of Classroom Decor plus additional items!